Jonathan Scales - the subtle and fashionable cat from Asheville NC with two mallets and a dream. When he first arrived at Ropeadope with his 'Fourchestra' he instantly changed the way we viewed the steel pan, with elaborate, sometimes delicate, often powerful compositions. Over the last five years Scales has persisted, winning over many of the best players in the game, and now he brings his latest project to the forefront. 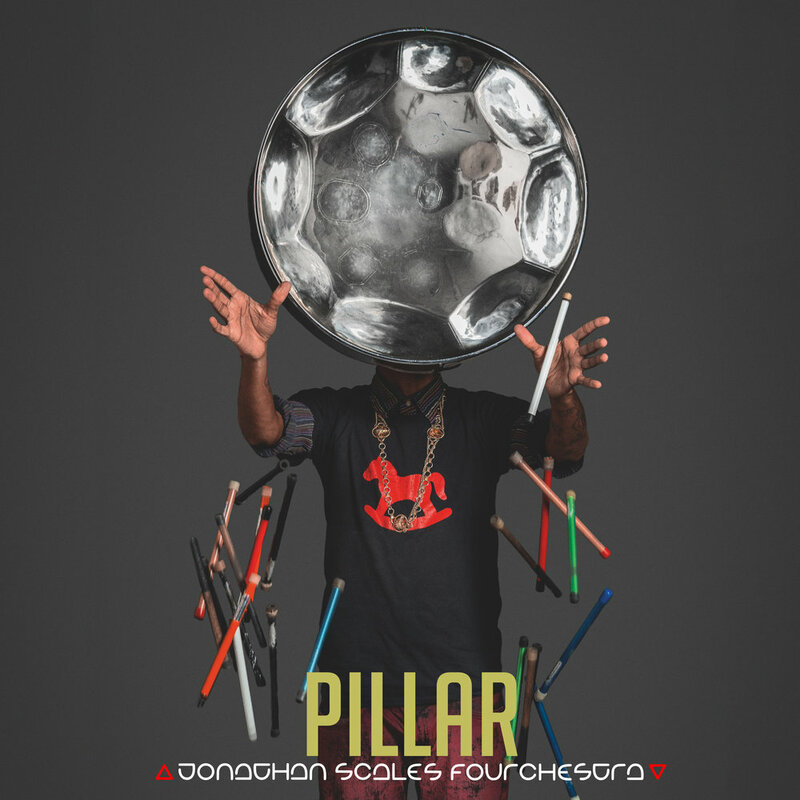 PILLAR is set for release on September 14, 2018, and it features none other than Jonathan's hero Bela Fleck and a cast of guests including Shaun Martin, Victor Wooten, Christian Scott aTunde Adjuah, MonoNeon, Jeff Coffin, and Oteil Burbridge. The core band is Jonathan with bassist E’Lon Jordan-Dunlap and drummer Maison Guidry, a killer lineup on its own. A dense, long form album inspired by and dedicated to Roy 'Futureman' Wooten, Mixtape Symphony further reveals the vision and direction of Jonathan Scales, composer. Add the blistering bass of Cody Wright and the anchored drumming of Phill Bronson and you have what they call a must listen.